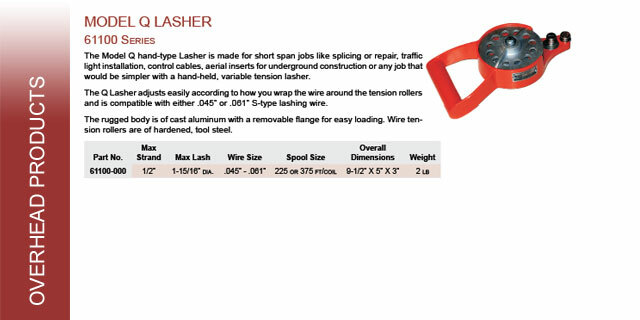 The Model Q hand-type Lasher is made for short span jobs like splicing or repair, traffic light installation, control cables, aerial inserts for underground construction or any job that would be simpler with a hand-held, variable tension lasher. 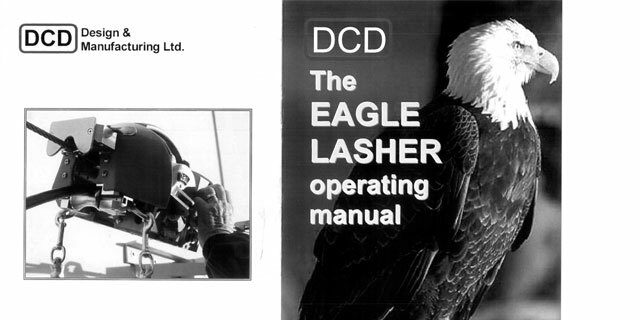 The Eagle Lasher was designed and built to meet the requirements of the 21st century cable lashing jobs. 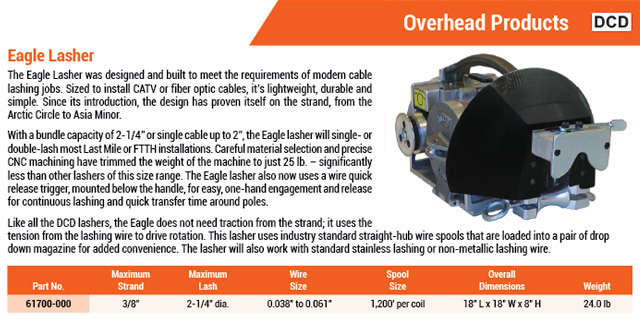 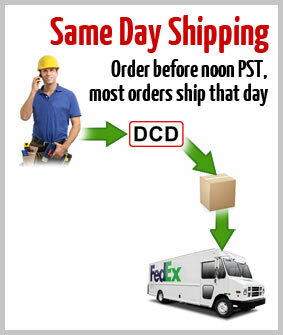 Sized to install CATV or fiber optic cables, it's lightweight, durable and simple. 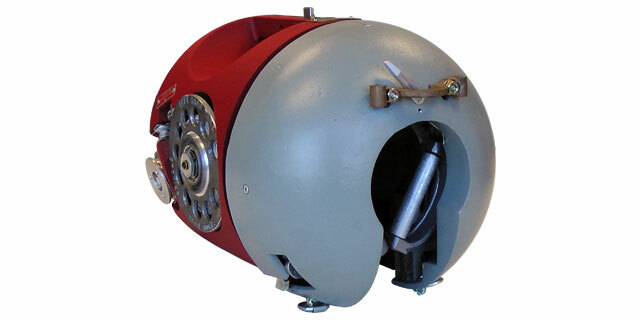 Since its introduction four years ago, the design has proven itself on the strand, from the Arctic Circle to Asia Minor. 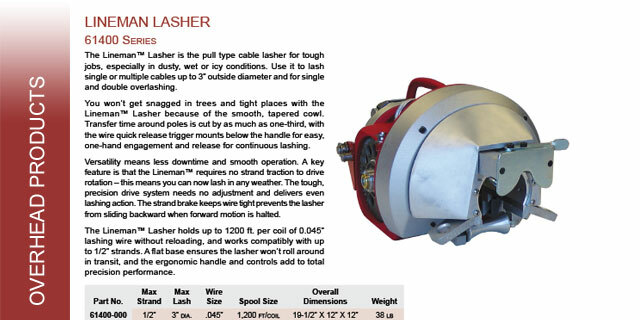 The Lineman™ Lasher is the pull type cable lasher for tough jobs, especially in dusty, wet or icy conditions. 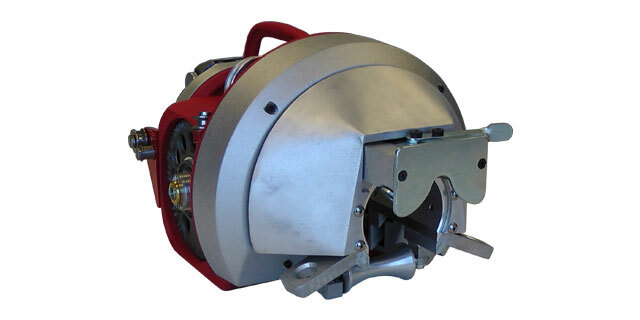 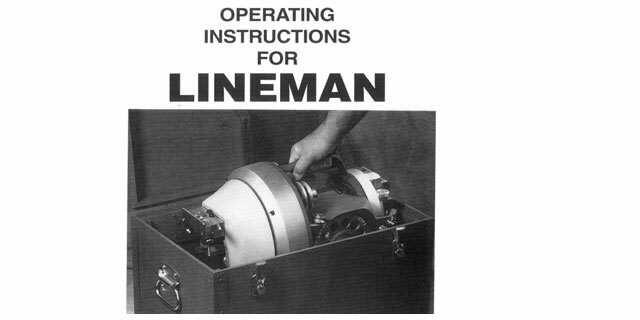 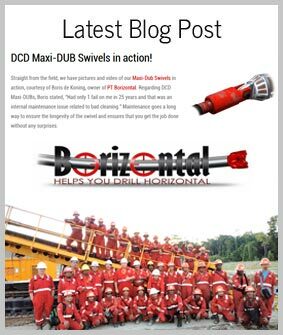 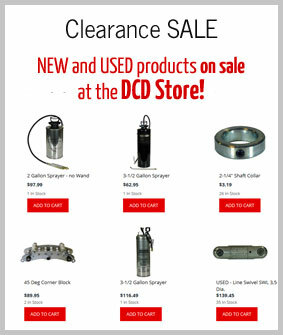 Use it to lash single or multiple cables up to 3" outside diameter and for single and double overlashing. 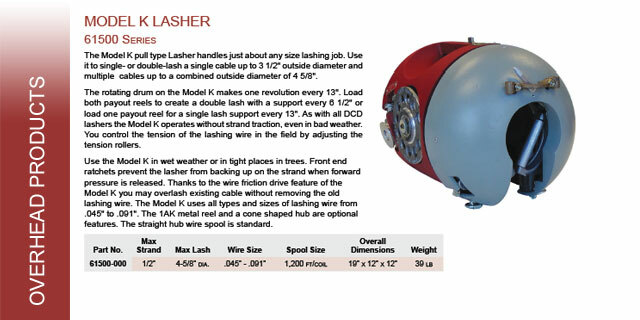 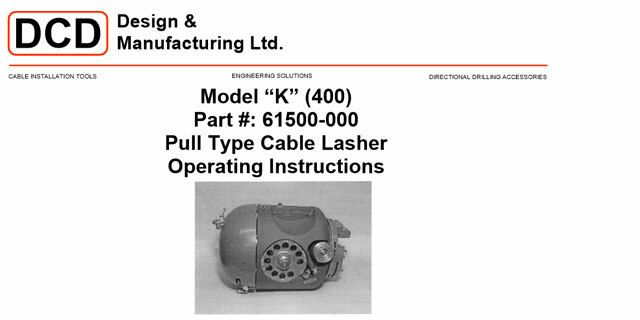 The Model K pull-type Lasher handles just about any size lashing job. 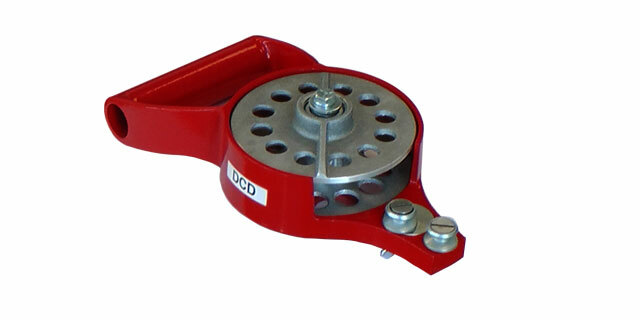 Use it to single- or double-lash a cable up to 3-1/2" outside diameter multiple cables up to a combined outside diameter of 4-5/8". 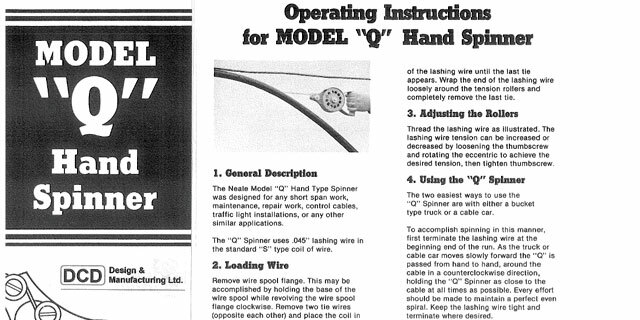 The rotating drum on the Model K makes one revolution every 13". 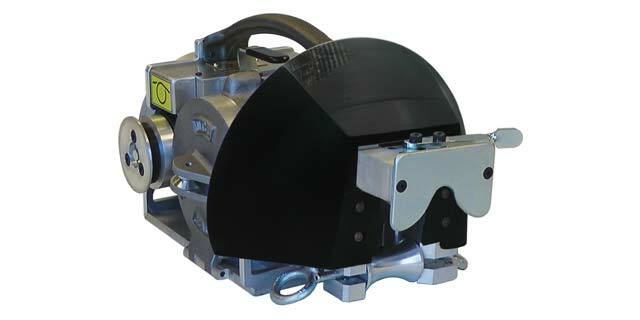 Load both payout reels to create a double lash with a support every 6-1/2" or load one payout reel for a single lash support every 13".